The subject of the emails you send out is crucial in many ways. 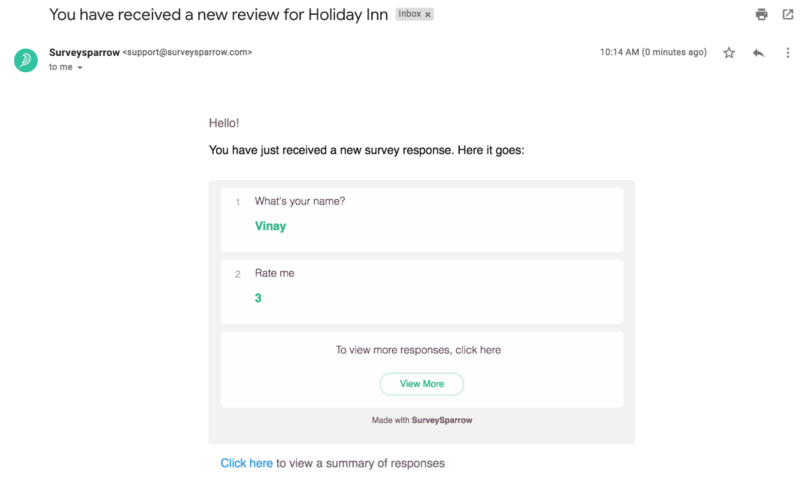 From email deliverability, click-through rate, and even grabbing the customer’s attention, having a good personalized email subject is extremely beneficial. 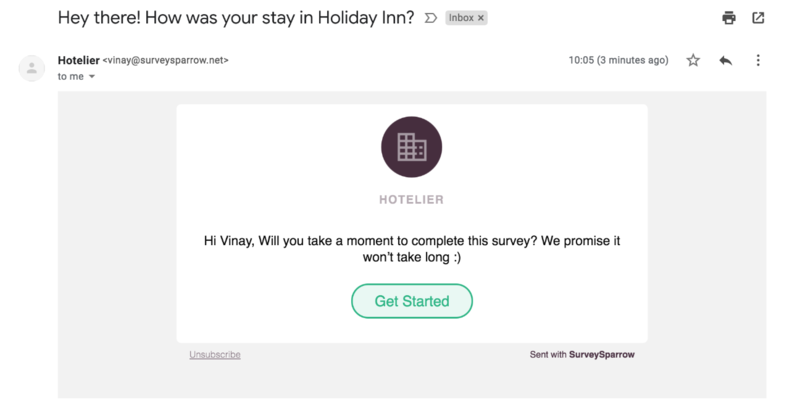 With SurveySparrow email share, this is easy. You can create variables and pass them through our email share API. 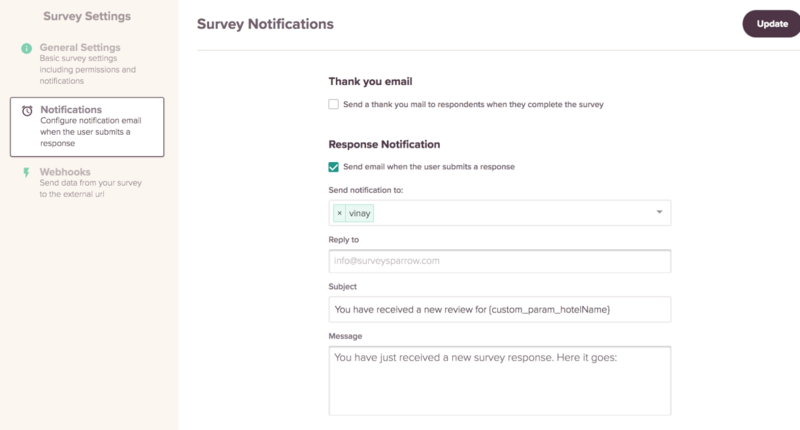 Create a custom parameter or global variable from the survey builder. Please take a note of your variable name; we are going to need it later on. 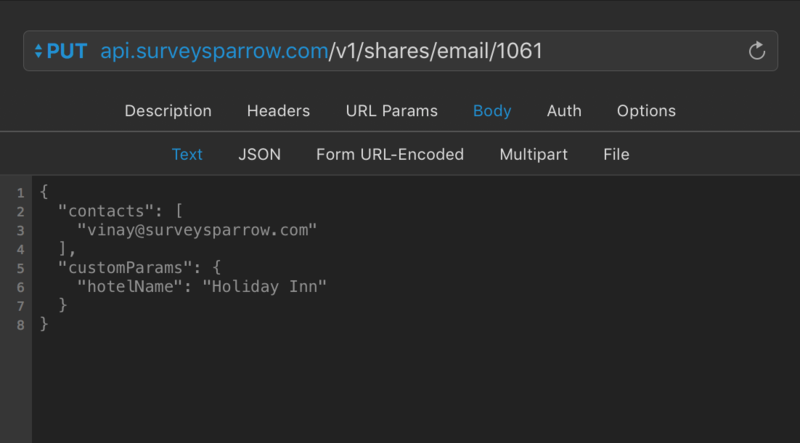 You can see that I named it hotelName in this example..
Now you can pass this parameter through our email share API by passing the custom param object. 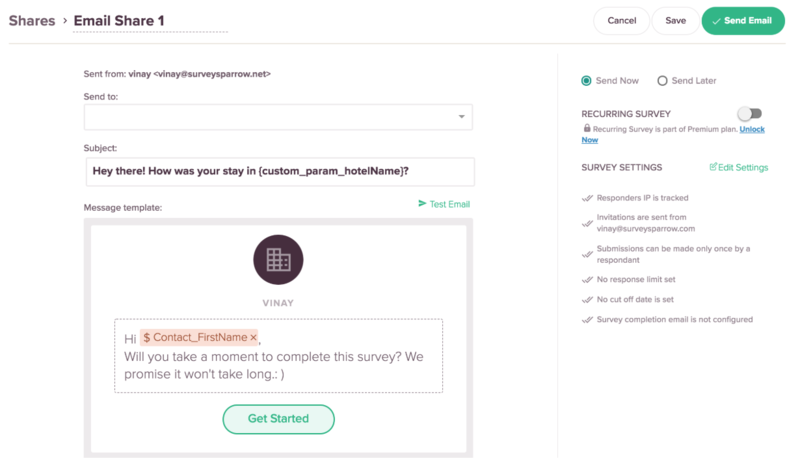 Refer SurveySparrow Developer Documentation for more details on this API. You can do the same with Response Notification Email. In the subject field of the response notification email, add the variable just like we did with Email share subject. And now when a new submission for your survey comes in, the email you get will have a descriptive subject.